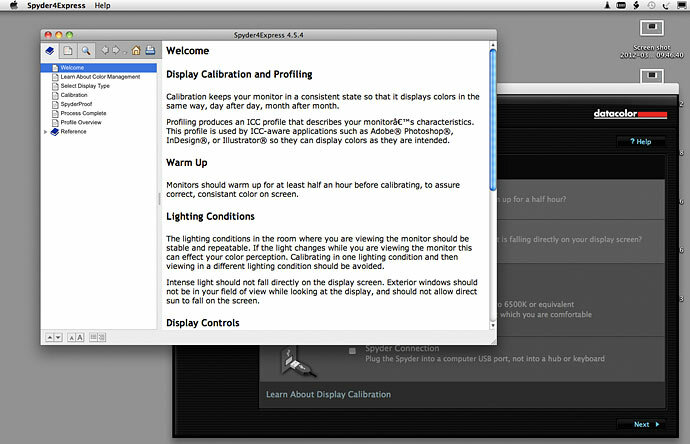 The Spyder4Express from Datacolor is the latest in a line of monitor calibrators that we’ve looked at over the years. 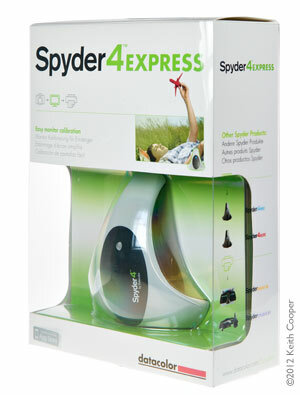 In this review, Keith looks at how new Spyder4Express package works, and why you would want one. For many users, this package represents the best value approach to the vital step of calibrating your monitor. 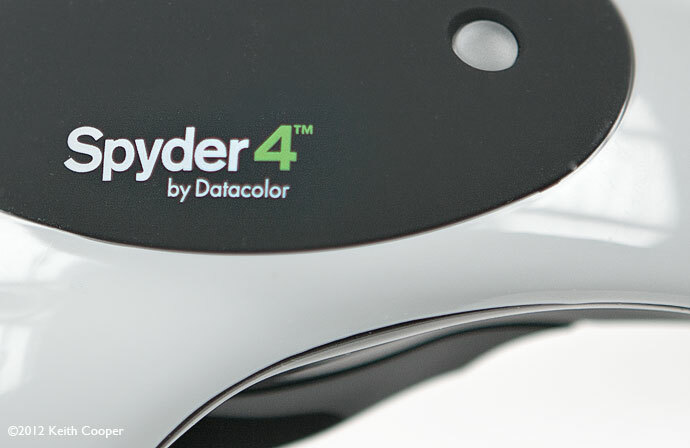 We have a separate reviews Spyder4Elite and Spyder4Pro packages, but there is a full comparison of the different monitor profiling packages from Datacolor in the summary section of this review. There is a full Spyder Products comparison at the foot of this article. If you’re happy with why calibration is a good idea, you can jump to the main review. Look around you, look at the colours on your screen and the surroundings. Notice the subtlety in colour and brightness, and how the lighting changes the look of objects. If you are editing photos, then all this variety needs to be accurately displayed on your screen. This screen is actually emitting light of just three colours. Look very closely and you’ll see the individual dots of colour. The photo was taken of my screen, with a close-up macro lens. It’s my eye, from a smaller version of the B&W picture on the ‘about Keith‘ page on this site. How green is the green you are seeing – how green is the green I’m seeing on the screen I’m using? Is it a more intense (saturated) green than mine or is it even quite the same colour green (hue)? So, I’ve no way of knowing what are the precise range of colours that can be represented on my screen or yours. Look a the white of this page. Look around for objects that you know are white. If you are indoors, then how a piece of ‘white’ paper looks, depends on the lighting you have. If you’ve different lighting in different parts of your house (such as fluorescent) then take a white object round with you and see if it still looks white. Try outside in daylight. A white object is white because of the source of light that illuminates it has a certain mix of colours, which are reflected from it. This mix can vary quite a bit – think of the difference between candle light and the light I see coming in through a north facing window at noon on a sunny day. Such variation in light sources can be measured and gives what is known as the ‘colour temperature’ of the light source. You may have come across this if you’ve set the white balance for your camera. In almost every instance though, the white object still looks white to you – our visual system has a pretty good ‘Auto white balance’ function. Our visual system is incredibly flexible in the way that different types of light are interpreted. In many ways, it’s this adaptability that allows us to happily use rather poorly adjusted monitors, without noticing any problems. The image of my eye is a black and white one (you’d need to stand quite a distance away to see). White (or grey) on a screen is produced by producing equal amounts of red, green and blue from each triplet of coloured patches (3 of which make up each ‘pixel’ on your screen). Pixels are given numerical values to reflect this mix of three different colours, often called RGB values, where the three numbers might typically take a value from 0 to 255. [0,0,0] is no light of any colour – or black, whilst [255,255,255] represents white (R=255, G=255, B=255). The problem is that as we saw earlier, I don’t know exactly what each colour really is, for my screen, or yours. Just because the computer sends ‘white’ to the screen, doesn’t tell us the actual colour of the light that the screen emits. So, I’ve no way of knowing whether the white on my screen has a colour cast, or what sort of white (colour temperature) it best matches. If I look at a photo on my monitor with details in the shadows, then how do I know that my monitor isn’t making the shadows too dark, or too bright? 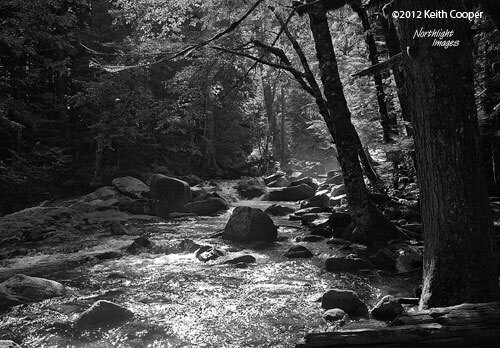 For a black and white print, such as the forest scene to the right, the whole impact of the print relies of the contrast between different areas. If I can’t trust my monitor to display the contrast correctly, then what happens if I send the image to someone else to print? What happens when I try and print the image myself? If the monitor lightens shadows, then I’ll be tempted to darken them when editing. If I send this lightened image to be printed, then there is every chance that the shadows that looked fine to me on my monitor will come out too dark when printed. So. I’ve no way of knowing if my screen is correctly representing bright and dark areas of an image. Modern displays are a lot more consistent in their output, than in the past. That said, there is considerable variation between models and makes in their range of colours and screen brightnesses. I hope that some of the examples I’ve pointed out, illustrate why just trusting to your eyesight is not the best way of adjusting your monitor. Our eyes really don’t work well as precise quantitative light measuring devices – that’s not something of day to day use for us (or any animal with eyes). Fortunately, precise measurement devices are available, to measure (profile) the characteristics of our screen and calibrate our computer’s display system to known standards. As you’d expect, there are a lot of technical details about colour, light measurement and our visual system that I’ve skipped over here. The good news is that you really don’t need to know any of this sort of stuff to benefit from calibrating your monitor. 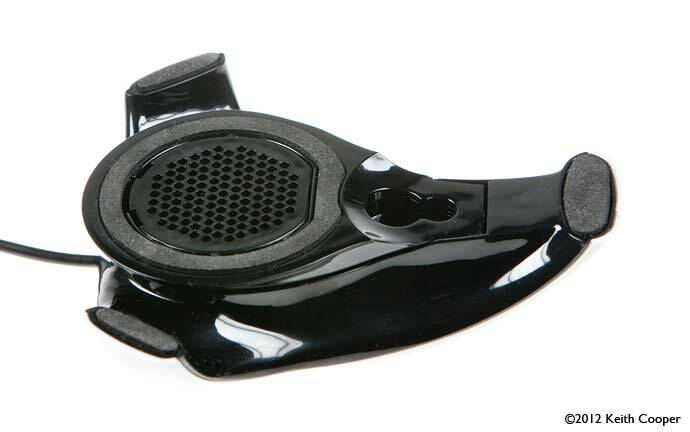 With a device such as the Spyder4Express, the emphasis is on getting the basic job done. If you have multiple monitors or a projector you want to calibrate, then you’ll need one of the more advanced options, such as the Spyder4Elite. There are lots more articles I’ve written, which go into more detail about printing and colour management. 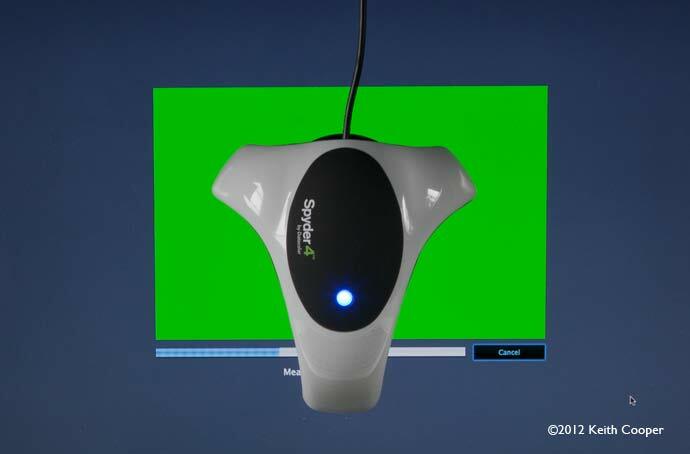 Full-spectrum colour sensor – Spyder4Express’s patented 7-colour sensor improves upon colorimeters that use 3-channel RGB sensors. Each Spyder4Express unit is individually tuned in the factory to accurately handle a variety of wide-gamut and normal gamut displays with ease. I’ll run through the basics of using the software here, with the emphasis on how simple the process is. 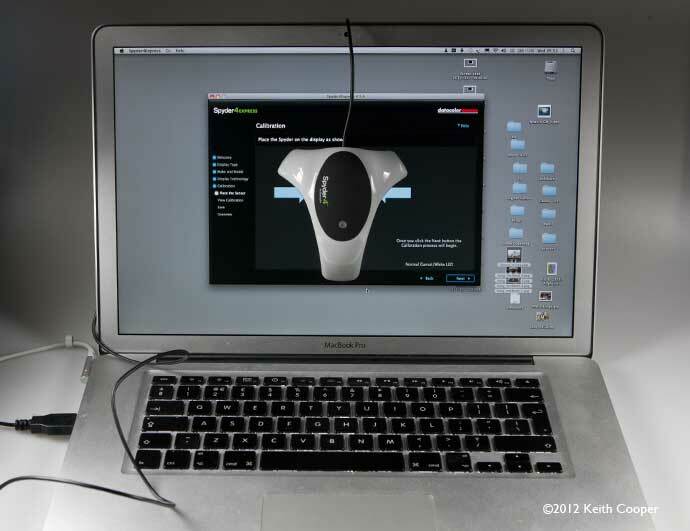 A counterweight slides along the USB lead and should be moved to hang behind your monitor when measuring. The internal measuring components of the Spyder4Express are the same as used in the more advanced Spyder4Pro and Spyder4Elite models. 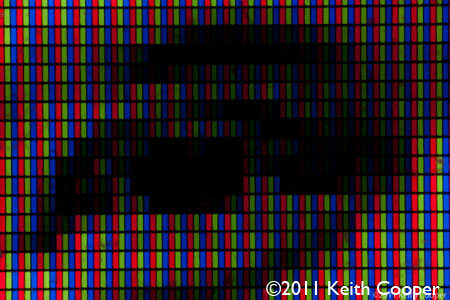 When calibrating LCD screens, I try and tilt them backwards a bit, so as to get a good contact between sensor and screen. A CD is supplied for software installation, along with a printed quick-start guide. One very nice feature is that the installer checks for updates -before- installing the software. After installation you will need to authenticate your installation. 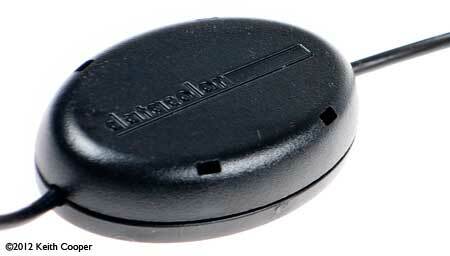 This gives a code that you can use to install the software on other computers and use it with your particular Spyder 4 sensor. 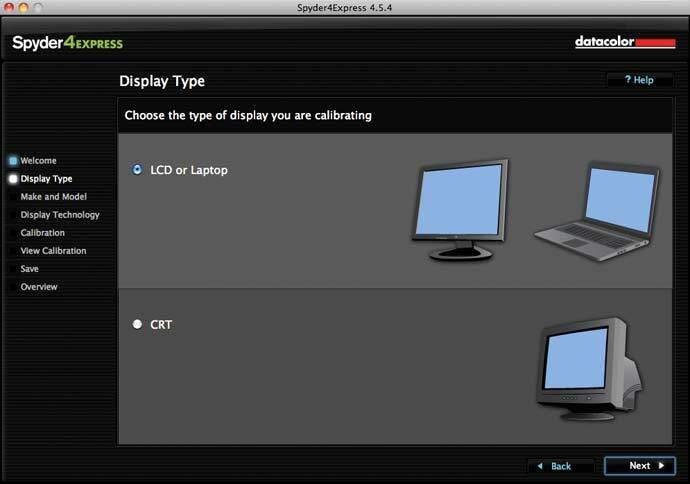 The software is very simple and guides you through the steps needed to calibrate your monitor. On your first startup, there are a few reminders. Note the question mark beside the display controls item. Datacolor’s Spyder software has always had extremely well thought out help information. It’s well written and answers most of the essential ‘Why am I doing this?’ type questions that you may have, particularly if this is your first use of a proper calibrator. Note the items about lighting and screen brightness – don’t set your monitor too bright. You need to tell the software what type of screen you are using. The software will identify most display types, but if it’s not sure, it will ask you for more information about your display. Now’s time to place the sensor in contact with your screen, where it will measure the light emitted from the screen. Move you mouse over the image to see the placement. The screen will go through a range of colours, whilst the sensor measures the light that comes from it. It’s the difference between what the software is telling the screen to do, and what is measured, that allows the software to build up the calibration and profiling settings required for your particular screen. This information (profile) is then used by other software to ensure a more accurate display. The blue light on the device flashes every so often during the measurement process. After a few minutes, the process is complete. Move your mouse over the image below to see how much difference that calibration/profiling can make to a somewhat blue/white screen such as the MacBook Pro. This gives a good feel for the change, but remember that if you were using the unprofiled setting, your eyes would quickly adapt to what you can see here as a distinct blue tinge. You new profile is now saved in the default location for your computer. That’s it – your display should now display colours and brightness levels much more accurately. 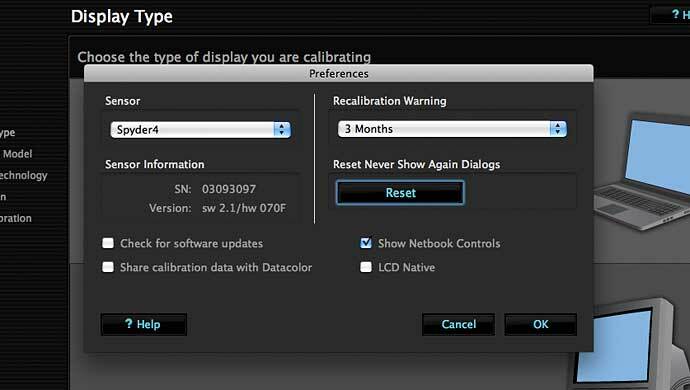 Important Note – it’s quite common for the calibrated screen to initially look worse than before. This is an illusion. Go away, have a cup of coffee or whatever, and come back. The screen should look much better. 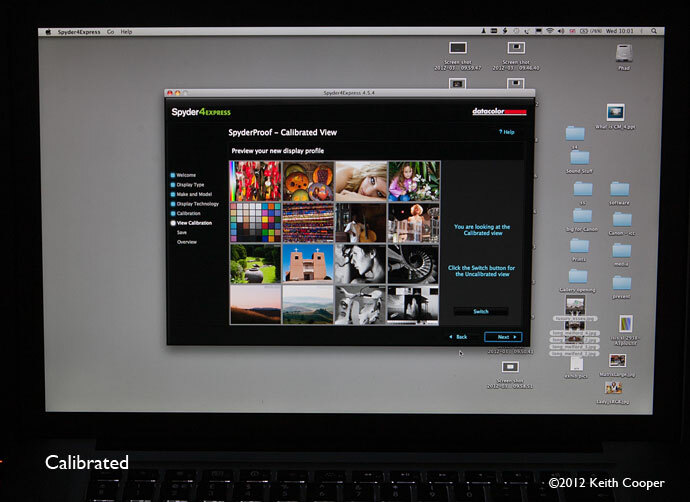 A small program is run at your computer’s startup, which provides ongoing profile quality checking, and can be used to directly launch the Spyder4Elite software. One use for this calibration checking software is that it can spot if some other software (or person) has altered your colour management settings (more likely on Windows PC systems). There are also the main program preferences, which you’ll likely not need to touch. Two exceptions are if you want to set the colour temperature of your display to its native setting (better for some old laptops) or want to enable the additional controls for controlling the software on a tablet or netbook. The additional controls allow for adjustment using a small netbook screen. Note in the screen shot above (not from my laptop) that monitor type (bottom RH window) has been set to match the type of monitor I’m using. Normally you won’t have to bother with setting this. 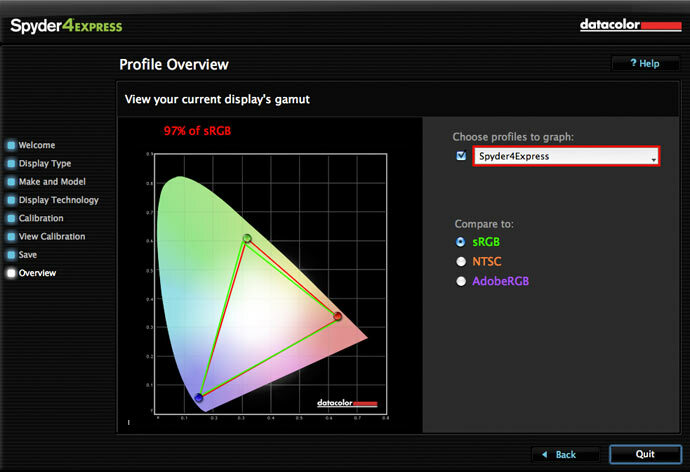 Once finished, the software also has the ability to compare the monitor gamuts of your profile, to various standards. If you look carefully, you can see that my laptop with its LED backlit screen, actually manages quite a bit more (red triangle) in the red/orange/yellow part of the spectrum. If you are wondering why this screen is there? 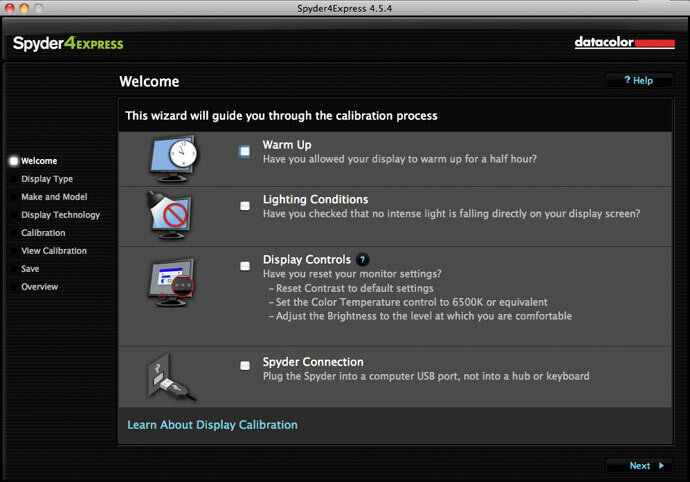 If you are concerned with the quality of your pictures that you are editing (and printing) then you need to calibrate your monitor – the Spyder4Express does just this, simply and effectively. The new sensor and refinements to the profiling algorithms make Spyder4 profiles both more accurate and consistent compared to earlier versions. LED backlighting and wide gamut displays are handled without problems. I’d suggest that the Spyder4Express is all that’s needed by the majority of people wanting to profile their monitor for a better looking display. If you want to set arbitrary whitepoints, luminance levels and contrast ratios, then you’ll also need one of the other Spyders, but let’s be serious – most people don’t need this. 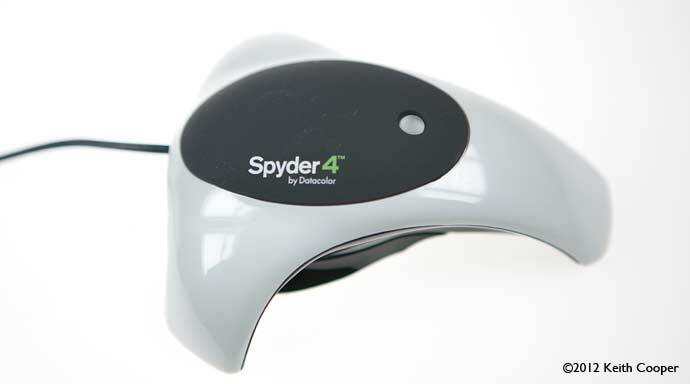 If you’ve multiple screens (Spyder4Pro & Elite) or want to profile a projector (Spyder4Elite), then you’ll also need one of the more advanced Spyder4 options. In our Spyder4Elite review, I’ve included far more details about the functionality and processes, but the thing to remember is that if you just have one screen where you edit your pictures to be printed yourself or by someone else, then for the majority of people, the Spyder4Express does all you need. Monitor calibrator that does just what’s needed for the majority of users.